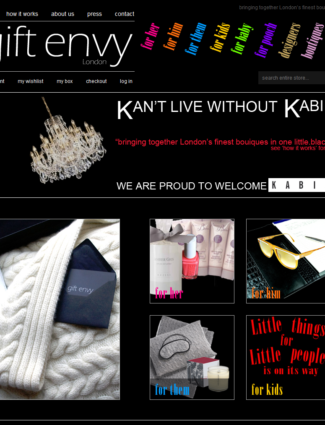 Gift Envy was a London-based boutique gift company. I worked with them in 2010 to develop a Magento-powered ecommerce store. A custom Magento theme was developed for the site, allowing the company to add products and manage almost every aspect of the site with minimal developer input whilst retaining a custom look and feel.